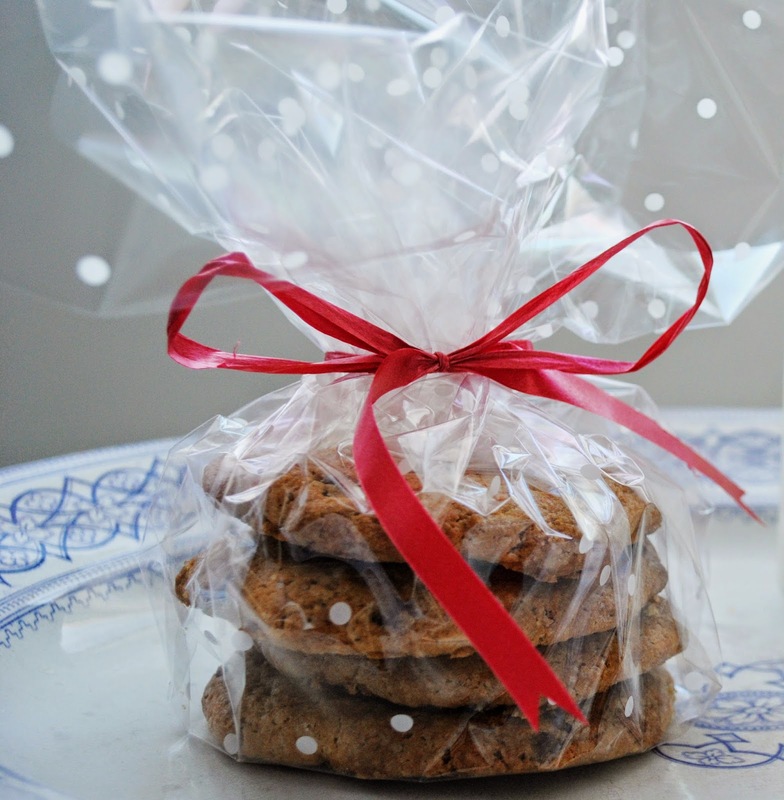 Hibernation Weather: Cookie Recipe. | H A Y L V O G E L.
Hibernating inside from the horrible weather, cookie baking, hot chocolate, warm and cosy day. I woke up this morning at my usual time on a day off at 9.30am, heard the wind and rain howling against my window outside and immediately wanted to curl back up in my duvet and hibernate for the rest of the day. 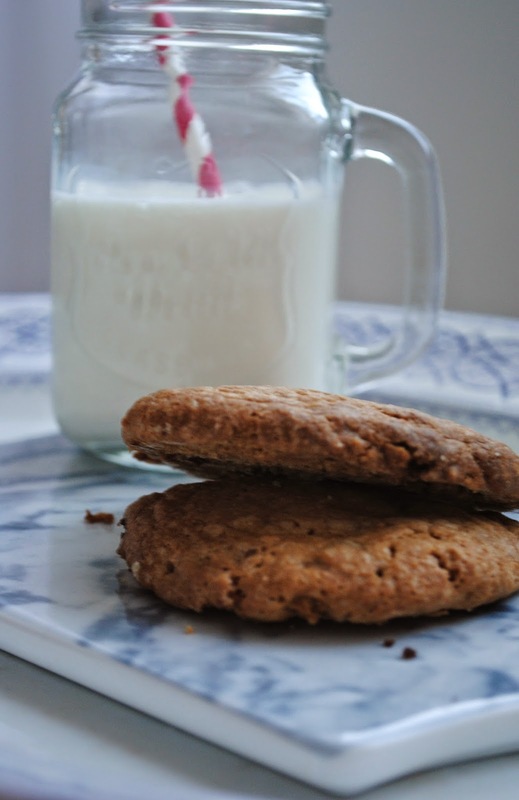 As I was checking my phone whilst sipping on a cup of tea, I decided that today I would bake some cookies and turn a rubbish day into a productive yummy cookie day. I was using the Nigella Lawson cook book (I know she has a few) so after browsing the pages I finally found the pefect chocolate chip cookie recipe, Hooray! Preheat the oven to 170 degrees/gas mark 3. Line a baking sheet with baking parchment. Beat in the vanilla extract, the cold egg and cold egg yolk until your mixture is light and creamy. Slowly mix in the flour and bicarb until just blended, then fold in the chocolate chips. Scoop the cookie dough up using an ice cream scoop (or an American quarter cup measure) and drop onto the prepared baking sheet, plopping the cookies down about 8cm apart. You will need to make these in 2 batches, keeping the bowl of cookie dough in the fridge between batches. Bake for 15-17 minutes in the preheated oven, or until the edges are lightly toasted. Cool on the baking sheet for 5 minutes before transferring to wire racks. ... And here they are, daaanah! They can also make wonderful gifts... 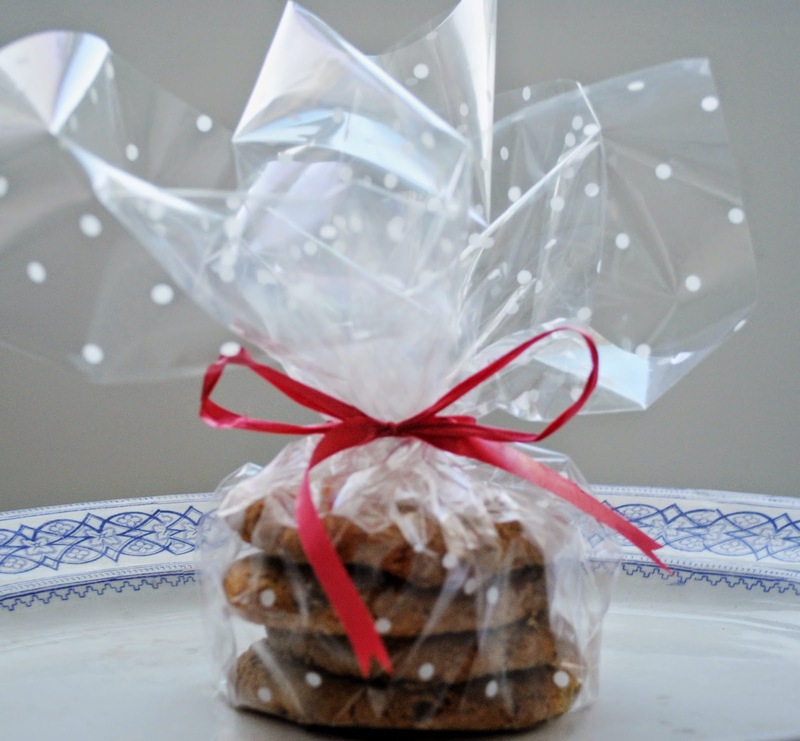 I wrapped mine up in cellophane and tied them up with pretty ribbons! The perfect winter pick me up. Hey there, I've nominated you for the Versatile Blogger Award!